The iPhone 5C and 5S are expected to be debuted at an official Apple event tomorrow, and many people are eagerly waiting for the unveiling of these smartphones. The iPhone 5C is rumored to be a budget iPhone and today we have news of a leaked tantalizing video that briefly shows the iPhone 5C in use. We have no reason to doubt that the phone shown in the video is the genuine iPhone 5C as it fits with everything we’ve seen so far in previous leaks. However, we cannot confirm its authenticity. 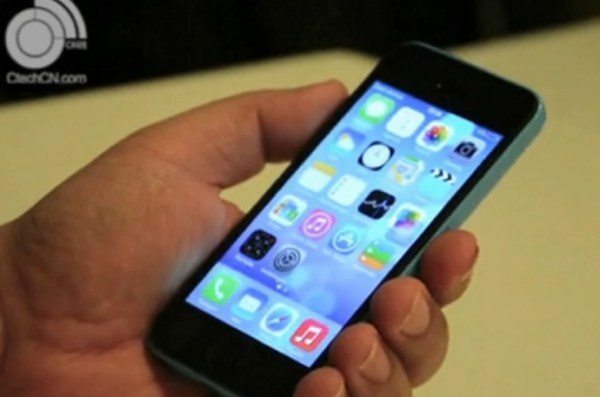 The handset is shown running the next major Apple mobile operating system upgrade, iOS 7. It’s good to get a look at a working iPhone 5C in action, albeit a short teaser only. You can see the video at Youku here. iOS 7 is currently in the beta stage and could be publicly released at any time, and we also hope to hear more on that at the event tomorrow. A few days ago it was reported that iPhone 5C units were already being shipped to the US, so it could be that the rumored September 20 release date is a real possibility. We’ll be giving all the relevant information about the iPhone 5S, 5C and iOS 7 as we hear it, so do check back with us for more. If you want to follow the event yourself we have details of world times here, or live blogs here. If you check out the video we’d appreciate it if you’d head back to us and let us have your comments on the iPhone 5C. Are you waiting for the so-called lower cost plastic iPhone? If the new iPhone’s are being shipped now, surely that means the new iOS is ready if it is pre-installed on the new phones. Why can’t they release it now! All the major apps are ready for it.